However other economists pointed out that that capital accumulation is not a sufficient condition one its own for development and other cultural, political, social, institutional and geographical factors are also important in creating the right conditions for development. Michael E. Porter postulated a linear stage model emphasizing a nation’s type of development drivers as a source of competitive advantage.3 Porter postulated that a factor driven economy gains its competitive advantage from natural resources, favorable conditions for growing crops, and low cost labor sources, an investment driven economy from the willingness of firms and individuals to invest in modern plant, equipment, and technologies, an innovation driven economy based on firms creating novel processes, products, and business models, and a wealth driven economy (also one in decline) where investment is based on accumulated capital in low risk ventures and activities like shopping centers. From the point of view of opportunity, the accumulation of capital, social, cultural, political, regulatory, technological, and attitudes towards risk and investment are all important factors in the creation of the opportunity landscape which is related to the stage of national development – demographically, economically, socially, regulatory, and technologically. The following paragraphs attempt to describe the stages of a nation’s evolution in reference to the types of opportunities available within each stage of growth. Traditional economies can be found in two forms, a subsistence society where its inhabitants live off the land on a daily basis using handed down generational knowledge with minimal outside interference, and an agrarian society where some crops are cultivated and livestock reared, producing some surpluses that can be sold or bartered to acquire outside items that the people feel they need or want. Within an agrarian society today, two types exist, one that relies on outside inputs and the other where people utilize their own inputs, reflecting their degree of both economic and social isolation. Traditional societies can usually be recognized by the high proportion of people involved in land based activities such as agriculture. The type of activities a subsistence or agrarian society undertakes is shaped by the general topography and climate of the region they inhabit. For example, within an arid ecosystem some horticultural and pastoral activities can be undertaken, within a coastal ecosystem some livestock, fisheries, and horticulture can be undertaken, within a hilly ecosystem horticulture and livestock activities can be undertaken, and with a rain-fed ecosystem arable farming, forestry and livestock can be undertaken.4 The general geography and resources available are important to development. These include the physical landscape, genetic endowments, the institutions and rules people follow, and the dynamics of interactions between inhabitants and outsiders. The role of development greatly depends upon the types of institutions, culture and education of the population. Today traditional societies are mostly socially remote from the education system and urban societies evolving around them. Most often the absence and/or high cost of transport acts as a strong disincentive to development, so there is generally very little trade. For example the cost of transporting goods from the New Guinea capital Port Moresby to the other major urban centers in the country cost more than shipping goods from other countries to those centers. The high cost of transporting goods is also a problem in many of the islands of Indonesia and the Philippines. In addition, these types of societies usually carry values and norms which allow very little room for modernization or expansion to a larger scale. The whole pre-Newtonian world once existed in this way prior to the acceptance of science for advancement. The first step of evolution comes from subsistence farmers and hunter-gatherers moving to agriculture with the domestication of animals and plants into fixed location farming. Different locations have different advantages and disadvantages in making this step depending upon what animals and plants locally exist (without the introduction of external species). For example in our early history the Eurasian region had an abundant number of animals and plants to domesticate compared to the Americas and sub-Saharan Africa. In addition the Americas and Africa were fragmented by geo-climatic features that increased the difficulty of domesticating crops and animals over wide areas, i.e., with the difference of growing conditions each side of the Rocky Mountains in North America and the vast differences in climates and physical separation by deserts and jungles running along Africa. In contrast Europe benefited in its East-West orientation in the very first millennium BC, where the Mediterranean areas of Europe through Roman conquest were able to adopt economically useful animals and plants from the Middle East. Increased agricultural productivity allowed some of the population to move off the land into small towns and specialize in craft and other professions. Society could begin to develop through these new specializations. Once populations began to grow, great divisions of wealth occurred where some groups amassed political power and formed small nation states within the European area using natural boundaries such as rivers and mountains for defenses against external threats. Many societies within old Europe, the Middle East, Central and South Asia have emerged this way. The very nature of subsistence agriculture is very risky and susceptible to disaster and uncertainty which breeds conservatism.9 People tend to want to be safe rather than put themselves at risk and may prefer inferior outcomes to the prospect of higher than average returns with a greater degree of risk.10 The most important aspect of transition from a traditional economy is the willingness of the people to change their customs and traditions into accepting to produce goods for consumption through the monetary economy. As well as the willingness there must also be the ability to raise capital through savings or loan to purchase inputs to do this. An under-developed economy is one that has broken out of the traditional mode and is beginning to experience some development spurred on by government investment in transport, social capital, and other infrastructure. Government supported roads, railways, airports, communications services, and schools enhance the ability of society to develop and transform itself from a rural based society. At this point of time the economy may enter what Rostow called the transition stage, driving the nation into rapid development (the next stage). However with poor economic management, nepotism, misallocation of resources and corruption, the economy may plunge into a backward state of poverty. Early development within this stage will be based upon the country’s basic resource endowments which include its natural resources like timber, minerals, petroleum, gas, coal, precious metals or stones, arable land and favorable growing conditions for certain crops, fishery resources, and inexpensive labor supplies, etc. Early America relied very heavily on tobacco for the establishment of its original colonies, timber for development, and cotton that helped to develop the South. Malaysia developed on rubber, palm oil and later petroleum. Botswana had been able to gain rapid economic development through its endowment in diamonds. Resource poor countries like Japan, Taiwan, and Korea initially utilized their low cost labor resources to produce cheap products that could be exported to the rest of the world. The types of factor endowments a country processes severely limit the types of industries and development trajectories that can be taken. The country’s resource base may be developed enough to enable the creation of other industries that spur further development,11 however a resource driven economy may be a poor foundation for sustained growth as it is subject to changing world economic conditions, exchange rate fluctuations and other countries becoming more competitive with their own resource endowments. Quite often, many industries will be temporary ones that die out as more lucrative opportunities occur and factor costs rise through higher demand for labor. At this point there are few SME start-ups except for those that sell basic products such as food, motorcycles, cars, vans, light trucks, etc. There are opportunities for new businesses that supply need based products to consumers. As the market grows there is more room for new competitors who may apply some minor forms of innovation to their businesses.12 A social elite may grow with some aspirations and be willing to take risks with their savings to invest in new businesses. Many new local industries will tend at these early stages not to compete on price as there is little direct competition. Their monopoly positions enable them to avoid acting in any competitive sense focusing on profit rather than volume sales. Manufacturing companies tend to purchase technology through turnkey plants imported from other countries to enable some limited import substitution manufacturing on high volume and bulky items like detergents and paint. These companies usually imitate other companies operating in other countries as far as the products and services offered. They will grow as the economy grows but in most part remain domestic producers as they will not develop any economies of scale, superior product quality, branding or other type of international competitiveness that will enable any exports. Those companies that set up an export based business will have few direct links to customers and usually be limited to producing OEM products in the early years of operation. Where people are attracted to the urban environment do not for some reason obtain formal employment, they most often enter the informal sector. Although the informal sector is often thought of as being made up of petty traders and other under-employed groups, it is actually an efficient and profitable small scale form of business that is limited by capital, technology, and lacks links with other sectors of the economy.13 These businesses may look poor but actually contribute enormous income to the economy and provide a living for a large population of many underdeveloped countries. As mentioned, the informal sector is large in many under-developed countries (which sometimes continue into the developing, developed and even post industrial stages of some economies), consisting of three main types. First are legal but may be not ethical such as people in Indonesia collecting cigarette butts off the streets to produce them into recycled cigarettes for resale. Other types of legal informal businesses may be collecting used cooking oil for recycling into cooking oil for resale in Malaysia, producing biodiesel from used cooking oil, or doing odd jobs and home repair work on a cash basis in developed and post industrial economies. Secondly illegal, but victimless businesses may include unlicensed or unregistered taxies, selling numbers in an illegal sweepstakes (very popular in S.E. Asia), or prostitution. Finally illegal businesses include selling counterfeit DVDs, bags and fashion accessories, drug dealing, cultivating marijuana, human trafficking, organ harvesting and selling, and illegal casinos. Some of these often occur because there is a weak law enforcement system and a belief that the person can get away with it. The informal sector is characterized by the ease of entry, reliance on indigenous resources, adaptive technology, family ownership, small scale of operation, labor intensiveness, skills acquired from outside of the school system, and operate primarily in unregulated and competitive markets. The illegal activities are generally actively discouraged by authorities. People in the informal sector generally operate outside the taxation system and have no access to formal credit institutions, although various microcredit schemes may accommodate them in some regions. Many informal traders operate in parallel with the formal sector producing foodstuffs and other consumer goods. The informal sector is also a training ground for some to emerge into the formal economy at a later stage. For example, back in the 1950s Ayu Masagung without any schooling carried and sold newspapers around the Semarang area on foot, later became the founder of the Gunung Agung group which is one of the largest book selling and consumer goods distribution operations within the Republic of Indonesia. In this way the informal sector can be a source of future dynamism and change for an economy, being an internal source of entrepreneurship generation within the country. The informal sector is a source of future growth, developing talent, practical skills, and entrepreneurial approaches to business. · Output from various resource endowments, i.e., land, labor, capital, and technology, are especially favorable to the country and provide it with a large advantage over other nations, e.g., coal from Australia, palm oil from Malaysia, rubber from Thailand and Indonesia, etc. · Positive government policy, economic and social management, and implementation (this includes lack of barriers, restrictions and regulations that distort growth). · Poor and inadequate education system. Table 1 below shows some of the bottom level countries in the Transparency International Corrupt Perceptions Index16 with some additional economic statistics17 showing broad common characteristics of poor development and high perceived corruption. The impetus of a developing economy is industrialization. This may occur in a number of ways. Established primary industries whether resource or agricultural based may support the establishment of complementary industries which utilize a by-product of that industry. For example the pine plantations in Scandinavia and America enabled the production of turpentine oil which can be used as a feedstock to produce a wide range of other chemicals. Citrus plantations in both Italy and Brazil enabled the production of citrus oils from the skins of fruit, a by-product of pulped juice. Early industrialization in a developing economy may also involve the production of industrial goods that service demand from existing primary industries thus forming some of the early secondary industries within the country. This may encourage the development of engineering shops that produce specialized equipment or small factories that produce products relevant to established industries like maintenance chemicals. Alternatively there may be some special advantages in the country’s resource endowment that other countries resources don’t possess. The Swedish steel making industry emerged because of the low phosphorus iron ore reserves which provided an advantage over steel industries in other countries with higher phosphorus ores. Other local factors may include topographies and climates that may be particularly attractive for tourism or be especially suitable for the cultivation of specific industrial crops. Simple physical conditions, climate and activities may create demand for heaters or air conditioners, tray trucks, and fertilizers, etc. Finally pure chance may play a role where an entrepreneur may have an idea through serendipity, unconnected to existing resource endowments or related industries. Some of these early industries may grow out of factor advantages such as low cost labor, as did the Japanese consumer product manufacturing during the 1950s and 1960s. However to maintain any industry in the long term, a new basis of competitive advantage should be developed on the production and/or market sides, i.e., new technologies, design superiority, the development of enhanced logistical chains, or the targeting of special market segments like the Japanese did with small automobiles, etc. Within the area that these new industries have been created, suppliers, workers, and managers will develop specific experience, expertise, skills and competencies related to that particular industry, which can be considered a country specific source of competitive advantage. A predominant policy of the 1950s and 1960s in many countries had been the development of protection to encourage the production of consumer goods as substitutes for imports. Governments would construct a high tariff regime around a potential industry and allow the importation of raw materials, but insist on final assembly inside the country. Governments through this top-down policy hoped to attract new technologies and foster new import replacing industries by encouraging local and foreign manufacturers to set up local manufacturing to escape import controls and tariffs. Governments believed that this support would incubate new industries and expand new employment opportunities outside of agriculture. Import substitution would have little effect on attracting supply-orientated industries but play a significant role in attracting local market orientated industries where the domestic market potential is large. However this policy’s long term success depends upon the ability of the new industry to create new technologies and sources of competitive advantage to survive competitively once tariffs have been retracted. However from the micro, individual or firm perspective, protection offers an opportunity to invest and operate in the marketplace without competition from imported products. In general however most import substitution era based industries failed to survive trade liberalization in the 1980s and 1990s and declined or even disappeared. But in the days of early development these industries did play a role in creating wealth through employment and developing urbanization. National development during this stage is dependent upon the willingness and ability of individuals and firms to invest. The general investment climate will be influenced by the general and specific segment growth within the national market, available, access to technology, the stability of government regulation, and general national stability. The market evolves from one based on goods of need to one based on goods of value, which greatly widens the scope of market opportunities. However for firms to be able to exploit these emerging opportunities they must be able to acquire the best technology available through licensing or developing a joint venture with foreign companies. It was usually individuals that were able to communicate with foreign firms that could create business relationships with the foreign firms. Therefore those who had the opportunity to study in developed countries and understand the language and business culture had an advantage over those that didn’t, such as was the case of many South-East Asian Chinese studying overseas between 1950s-1990s. At this stage urban society begins to grow rapidly. This is triggered by the much higher wages offered for factory employment than can be obtained in agricultural activities. Initially this migration is selective with the younger educated seeking urban employment but as demand for workers grows and stories about higher wages filter back to the rural areas, larger numbers of people migrate to the cities. Urban populations become consumers and increase demand for all types of food, accommodation, consumer and durable goods. They also partake in savings either voluntary or through nationally induced savings schemes developed by government through an emerging banking system. The education system is enhanced from basic systems distilling discipline to those that place more emphasis on critical and creative thinking. 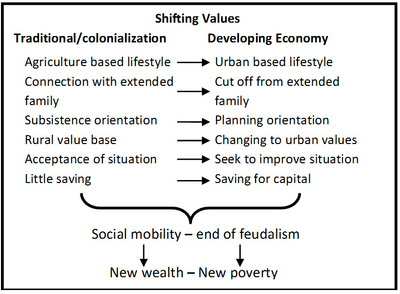 Growing urban development attracts new entrepreneurs who values are shifting from traditional attitudes to those more in line with an urban environment of a newly developing country (see figure 2.). Those with natural abilities are quick to emerge and the socio-economic structure of society begins changing away from its feudal base. They pick up new skills and competencies from education and employment and learn as they go along in their new businesses. A developing economy experiences rapidly changing demographics leaving a deeply divided agrarian society and newly educated urban society. This can still be seen today in most South-East Asian countries which have become part of the source of political problems in countries like Thailand.27 Developing society has some influence on agrarian society through urban residents remitting funds back to parents and families in their villages and returning to build new houses and buy consumer goods. This starts to break down traditional values and bring envy into village societies. Although economic growth is destroying traditional culture and values, a whole range of new opportunities begin to emerge with rural based urban centres developing. These new towns commercially serve their respective hinterlands with goods, basic education and health services provided by government. Newly developed infrastructure, roads, railways, communications, schools, and health centres help provide the ability of rural society to transform itself. This brings a whole new range of opportunities to those that can see the opportunity, have the resources, networks and skills to develop them. The economy is now developed into partitioned agricultural, manufacturing and service industries with many new opportunities continually developing (Table 2). Hardware goods manufacturing, window sills, doors, door frames, tiles, roof tiles, insulation, flooring, paints, cement, pipes, etc. Fast food, restaurants, cafes, coffee shops, etc. The United States, Europe, and Australia experienced increased birth rates from the 1950s. The high proportion of people of working age with low dependency rates dramatically increased the size of the workforce, savings, investment, and consumption, contributing to economic growth substantially in what was called the demographic dividend.28 This demographic bulge the baby boom was also seen in Ireland, East Asia and Latin America between the 1960s-90s, however Latin America did not benefit much from this because the quality of government institutions, labor legislation, macroeconomic management, education, and openness to trade was poor.29 The processes of rural-urban migration, population growth in urban centers, and increasing education, increased consumption and saving. Rising entrepreneurship occurred through increased opportunities, fueling increased investment and rapid economic growth. These phenomena are shown in the schematic in figure 3. below. Rapid urbanization and developing rural regions begins to break down traditional society structure. There are pressures to adopt new more egalitarian business structures which sometimes challenge long existing orders. During the under-developed and early developing phases of economic development in many countries, businesses have been controlled by families of government officials and the military protected by restrictive regulation and practices that allow monopolies and oligopoly competition. Such situations would be similar to those under the Suharto regime in Indonesia and the Marcos regime in the Philippines, but also exists throughout Africa, the Middle East and Latin America. In some of the old Soviet Block countries, state capitalism was replaced by a small group of politically supported entrepreneurs in what could be called ‘oligarch capitalism’. To a lesser in some countries like Malaysia certain parts of industries are controlled by Government Linked Companies (GLCs) under another version of state capitalism. The effect of these business structures is to restrict opportunity and growth to small groups of people. In most cases it takes some form of shock event like a political upheaval or even revolution to change the situation where a more egalitarian business society is created where more liberal business environments exist.32 These reforms usually come under pressure by the people who have become educated, having the confidence to recognize opportunities and had the opportunity to travel and see other countries where the business environment is much more open. Once this change in society occurs the economy can move onto the next stage of becoming a developed economy. 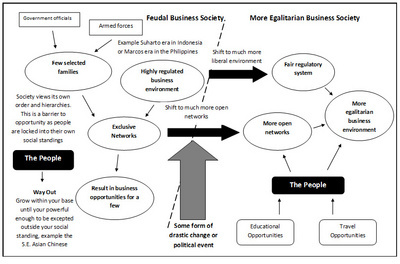 Figure 4 shows the transformation from a feudal to a more egalitarian business society. In the transition from a developing to a developed economy competition becomes based on much wider parameters than price. Markets also become segmented as there are large and distinct groups of consumers with different demographics, needs, and wants. The economy is beginning to rely on household consumption to drive growth rather than resource endowments or investment. The continued rise in per-capita incomes and the associated savings and investment guarantees growth for years to come. The process of industrialization, urbanization, and suburbanization develops a self-driving momentum of its own. Business replication as a source of opportunity is becoming replaced with new innovations, and spin-offs often leading to new industries creating further growth for the economy. For example the rapid development of Bollywood in India has brought many spin-offs, support and service industries including special effects, costume design, set design, set building, pyrotechnics, protection, catering, transport, and insurance services. Further examples of industries and spin-off industries that have emerged over the last few decades are listed in table 3 below. The leading industry sectors will differ by country due to different situational factors, however primary industries will encourage secondary industries to develop and eventually tertiary service industries to service the former. Some firms would have developed their own channels of distribution within foreign markets and begin to market their own brands in addition to the OEM brands they have been manufacturing. Research efforts begin to be supported through some basic university research which is now capable of developing new applications from existing technologies. One of the most dramatic aspects of the advanced stage of a developing economy is the tendency for credit to become more liberal through a deregulated banking sector. This is an important key to entrepreneurs being able to exploit opportunities at an SME level. As many cities are relatively new, business networking is much easier which is important in urban opportunities.33 Business formation is greatly enhanced by relaxed procedures and lower costs for forming business organizations. The World Bank has been collecting detailed data on the costs and time required to form a business throughout the world and been reporting the results in their Doing Business Report.34 Virtually all of the countries where it is easy to start a business are developed countries, but where it is difficult and costly to start a new business are still developing or very poor countries. Many large companies either foreign or nationally owned may take the lead in the prominent sectors of the economy. These firms develop a ‘management logic’ and organize themselves through hierarchical systems. This is particularly efficient where there are focused investments and manufacturing operations.35 Many large resource based companies require equity based capital from equity markets due to their capital intensity and use of specialist assets. Family based businesses tend to fill opportunities that are too small and niche orientated for larger companies to exploit. They develop upon their own equity and extensive networks, enabling them to take quick action upon emerging opportunities. Small businesses still tends to be more replicative than innovative at this stage but the number of people employed in SMEs may now be higher than those employed in large manufacturing firms. Business replication must give way to innovation to maintain growth in the future. The transition into becoming a developed economy depends upon industry and firm diversity and synergy within the economy that provides strength, laying ground for further opportunities that firms can begin to exploit utilizing new sources of innovation. A number of economies may reach the stage of being developed where the general population will be enjoying a reasonably high standard of living in primarily urban environments, benefiting from the decades of vertical deepening of the industrial base. The nation’s markets have become large, complex, and segmented, deep international trade links have developed along with a rich service industry base. The economy is largely private sector driven where industry linkages are complex. Generally the world’s coastal areas and land locked countries with good transport logistics linking the country to the outside world are the countries developing to this stage. At the developed economy stage there has been an almost complete factor change from resources to innovation based development. Corporate advances cannot be undertaken by investment alone as innovation is usually required to gain new angles of competitive advantage within the marketplace at this time. Most markets are now highly competitive where competition helps to insure against any company single gaining higher than average profits through forms of monopolistic competition.36 Inefficient manufacturers that can’t satisfy consumer wants will be driven out of business. This represents a big change from the days firms competed primarily on price. Firms during the developing stages tended to sell high volume products in a similar fashion as to how one would sell commodities focusing on sales rather than branding. Luxury goods were pushed through heavy advertising. There was really very little product differentiation of substance. This pattern changes dramatically in a developed economy where consumers are much more varied about what they want, forming various need/want segments. Firms have to learn how to make this transition from a production and sales orientation to competition based on product quality, brand, image, and after sales service, i.e., a full marketing orientation. Firms have become much more sophisticated in running their operations and no longer seek to maximize sales volumes and market-share. Gross profit orientations have become much more important. Products that are cheaper versions of well known branded products have less influence over customer decisions to purchase, except in the commodity type product segments. Retailers will develop category management and store shelf space planning systems that maximize gross profit from the shelf sales and complex pricing and rebate schemes with manufacturers. Manufacturers will focus upon building brands that have customer loyalty, developing as much influence over the distribution channels that they can seeking to differentiate their product from other companies to minimize the effects of competition. Consequently logistical supply chains have become very integrated lowering distribution costs and providing retailers with much more control over the market. The growth of retailer concentration is an important characteristic of a developed economy, which has wide influence over how business is undertaken. Retailer concentration drastically decreases the viability of family owned independent supermarket and corner stores that cannot afford to purchase in the same quantities as major chain stores, stay open long hours, and sell items on low margins to attract customers during promotions. Growing specialization of chain retailers within supermarkets and discount stores has greatly affected the viability of small specialty enterprises like bakeries, delicatessens, milk bars, sundry shops, liquor shops, pharmacies, and poultry shops, etc. At the same time the development of centralized suburban shopping malls puts pressure on long established stores in strip shopping centers along primary roads. Consumers once in the car tend to drive to these shopping malls for the comfort of shopping in heated and air conditioned environment. Small consumer product manufacturers begin to struggle to operate in the growing concentrated environment. The effect of category management is to rationalize shelf space so that smaller companies miss out on their products being carried in the major chain supermarkets. This forces them to service the smaller independent stores which have a much lower presence and national retail market share, often not enough for the small firm to remain viable. Some of the small companies with brands that are seen to have potential are bought out by multinational companies that specialize in selected areas. This further adds to manufacturer-retailer concentration and rationalization of consumer brands within markets.37 Opportunities for smaller entrepreneurial firms in the consumer product manufacturing and retail industry are substantially diminished during the developed stage. The prime form of firm competitive advantage is now innovation. However it becomes very difficult for one firm to develop advantages other the other. Firms that grow quickly tend to be those based upon some form of new technology, an important improvement upon what is already being done within the market, serving identified incongruities, and utilizing new business models that bring more value and/or convenience to consumers. In a developed economy firms now create new technologies through their own research and development where large efforts are put in to convert ideas into products that consumers highly value. Breakthrough or new to the world products where feasibility cannot be easily determined through market research are often launched on the hunches and faith of the organization (or founder) developing them. Such examples would be the Sony Walkman and Apple’s Macintosh (now iPhone and iPad as well) where enormous efforts were put in to develop these products by the development teams concerned. Likewise non-technical innovation in developing new business models like fast-food and hotel chains that provide for the needs and wants of large groups of consumers have been extremely important in bringing further evolution and growth to markets. A developed country may still have resource based industries but modern technology and consumer accepted practices may be applied to them to improve product acceptance, quality, and production efficiency to maintain the industry’s desirability and competitiveness. As relative factor costs between countries change, many industries in developed countries start becoming uncompetitive, especially labor intensive ones. Companies within these industries will be forced to relocate, source their product offshore or fail. Changing factor costs often cause firms in developed countries to completely change their operational orientation from being a manufacturing based company to being a marketing based company. This leads to a great reduction of general factory or blue-collar workers in the economy towards white-collar workers in the growing services sector. One of the most pronounced changes in the economy during this stage is the rapid rise of the services sector. There has always been traditional services and services linked to the resource, agricultural, and manufacturing sectors, but during the developed stage a dramatic rise in leisure, lifestyle, and high mass consumption services with a high income elasticity of demand occurs.38 The growth progression of the service sector size and per-capita incomes of some selected countries is shown in Table 4 below. Businesses in developed countries have many more needs for specialized services than firms in developing countries. Over the last three decades there has also been a tendency for firms to outsource many services due to its apparent cost effectiveness. Firms require specialized marketing services, ICT, advertising, HR and headhunting, management training and motivation, and taxation and finance services. Also the growing increase in business regulation and compliance in occupational health and safety, food and chemical regulations, adoption of international (ISO) standards, and environmental compliance is creating new specialized and lucrative opportunities for those with specialist education and experience. Many of the Gulf States are attempting to invest their way into the developed stage through the belief that building modern cities with the best infrastructure will spark new innovation based industries which will drive future growth. This can be seen in the tourism industry which has used investment and innovation but it is yet to be seen whether this will attract and create complementary and other innovation based industries to the Gulf. A developed economy fosters maturity and national confidence but other dynamics like changing demographics, particularly aging populations, can drastically change economic trajectories where the nation flows into a post industrial state. 4. Industries that serve the wealth and consumer sophistication of the nation like real estate, financial services, health service, convenience and packaged good products, and the entertainment industries. The extent to which a nation’s economy is service orientated depends upon the extent products that are imported from other countries have a cost advantage over local products. Due to lower production costs offshore and low tariff regimes, it is much cheaper to source products from lower cost producing countries. Durable consumer goods are now much cheaper than they were during the past stages of economic development. However becoming a post industrial economy may not altogether be a negative process, and does not always involve de-industrialization. The economy may be going through a restructuring where lower productivity industries are being replaced by higher productivity industries in other sectors. The services sector may be growing at a much faster rate than the manufacturing sector which statistically shows a decline of the agricultural and industry sector relative to the services sector. While some industries have declined and disappeared, other industry structures have radically changed, and/or merged together with other industries. Many industries have become extremely competitive where segmentation has become intense. Some companies practice custom mass production, i.e., Toyota Scion targeted at Gen Y customers and Dell computer allowing customers to order computers according to their own specifications. The personal computer, mobile phone, and even books are becoming one industry with the arrival of products like the Apple iPhone and iPad. The airline industry, once used by a privileged few has radically changed through the low cost segment growing rapidly, redefining how the industry and customers behave. Banking was just a necessary institution within an economy at one time to provide a means for savings, loans, and financial transactions. In post industrial society banks transform to become much more integrated with consumers’ lives where services are almost unconsciously utilized through paying for groceries at the supermarket with debit cards and paying bills through ATMs and on the internet, where cash from transactions is disappearing. The processed and fast food industry has become corporatized focusing on presentation, convenience through replication, and sophisticated logistical systems to place product within very easy reach of consumers. Over the last decades of economic development firms have moved from a production to a marketing orientation. In the post industrial economy firms start making a transition into developing integrated values within the whole company, reflected in strategies, and products. Consumers at the same time have become very paradoxical. Consumers live within a corporatized society and accept luxury and branding, shopping in the comfort of shopping malls and hypermarkets, yet at the same time yearn to return to the street markets and the specialty and boutique corner stores. They also have concern for local issues, the environment, and the future, and seek out farmers’ markets, buy local products, seek to live with low carbon footprints, prefer organic, and Fairtrade products in increasing numbers. Today it is not unusual for people to travel on a low budget airline to an exotic holiday location and stay at a five star resort. At the same time we are becoming skeptical about government, frustratingly looking for alternatives that may not yet exist.41 There are no existing or new political movements in sight that appear to have the answers, just an apparent vacuum or void. The corporate world is also looking for the answers about where they stand in society through corporate social responsibility (CSR). What is mostly apparent is the variety of different approaches taken. Is it civic responsibility – making a difference to society? Is it about empowerment – whose? Is it about aid to the less fortunate – some special projects? Is it about ethics, environmental responsibility, and sustainability? Is it about community development – local, national, or global citizenship? Is it about philanthropy? What are the specialized values the corporate world should adopt? Post industrial society is a somewhat more paradoxical society than those of the previous phases. All of the above is occurring at a time where corporations are devoid of shareholder influence.42 The motivations of managers are moving in directions that undermine sustained investment and innovation. Investment becomes focused on financial assets rather than acquiring real assets. Mergers and acquisitions stifle innovation. Foreign investments are now purely financial rather than aimed invest in building capacity and productivity that they once were. General investment in the previous stages had been undertaken within an almost continuous growth rate which maintained a positive momentum of return that could be supported by borrowing. However capital gains are not assured within a post capitalist economy due to the many structural changes taking place and end of the high growth period that the early stages of economic development experienced. Asset values start declining with the structural changes leaving investments that are not covered by the equity within the assets. The concept of what constitutes an investment and what is an expense is under threat. No longer can a house be looked upon as an asset that acquires value continually, as this ignores the fundamental issue that a house depreciates through wear, and upkeep costs are expensive and rarely factored into value, leaving only value in the land. Land value is only relative to demand and suburban areas that were once in demand two decades ago in American cities are the urban prairies of today. Post industrial economies will continue to experience readjustments that will change the nature of opportunities and what constitutes good investment. Business investment tends to be more wealth based rather than innovation based, utilizing past wealth. During this stage the lower productive segments of industry drop away. Many national size firms are acquired by larger multinationals and/or shift off-shore to become based in other countries, leaving only a small subsidiary operation within the original country. Other established industries close down their manufacturing operations and source their products offshore from lower cost producers. Many established firms begin to consolidate their market positions rather than enhance it, have a declining inclination to invest, become headed by stewards rather than entrepreneurs, lose their aspirations, become complacent risk takers, and develop organizations that have a culture resistant to change. This is reflected in the high turnover of companies on the S&P, Forbes, and Fortune lists, where vibrant new entrepreneurial companies are taking the place of the complacent companies with outdated products for their market and older technologies. A post industrial economy is one that is no longer balanced and requires new activities to rebalance it. Post industrial societies face the trauma of losing export orientated industries, increasing imports, higher public debt, and growing unemployment. This raises possibilities that the urban areas of many societies will become poorer and fall into relative poverty. There are even risks that a whole new generation of people may not have jobs. How this evolving scenario is countered depends upon how many new entrepreneurs can create new industries that will create new domestic and regional demand and increase employment. However this is hindered by rising taxes on wealth and income created by governments trying offset their dwindling tax bases. Changing age structures in many post industrial economies are beginning to have a significant effect on economic performance. Populations are shifting from a high proportion of working people to non-working people to an aging population where assets must be put into aged and health care, which inhibit economic growth. This is the ‘pay up’ period for the ‘demographic dividend’ the country enjoyed two decades ago. Age expectancy has also increased due to better knowledge, nutrition, and healthcare resulting in declining death rates which further stress government welfare systems. The population of people aged 80 or above is projected to rise around 3.5% per annum until 2050 and will force Governments in East Asia, Europe, the United States and Australia to develop surpluses in future budgets. Meanwhile declining fertility rates in Europe will lead to massive labor shortages that must be supplemented through increased immigration. Standards of education are declining due to less domestic demand because of demographic shifts. Many higher learning institutions seek overseas students to supplement declining enrolments and maintain revenues. Education is a growth business for students from developing countries and becomes a major growth industry in post industrial economies with a stock of high reputation universities and other colleges. Education is now Australia’s third largest export earner behind coal and iron ore.43 However Finland has shown through investment in education other industries can be developed which in her case include the forestry industry. Post industrial societies have also neglected the rural areas which have fallen into crisis. With tightening credit, many rural families are forced off the land. Chronic shortages of labor affect harvests and production. Declining services and infrastructure lowers the quality of life for rural families. Educational pathways between urban and rural societies widen,44 which could inhibit the ability of rural people to scan for opportunities and exploit them in the next generation.45 There is a genuine social inequality between urban and rural populations. Rural population will have fewer opportunities from limited economic activity, where disadvantages include the remoteness from urban markets, the high cost and deterioration of transport services, poor access to services, and lack of private and government investment. This lack of rural investment leads to higher unemployment where a large percentage of rural youth population leaves for potential work in the cities. Post industrial societies become high compliance cultures. Value added taxation systems (VAT or GST), environmental compliances, occupational health and safety compliances, require large amounts of documentation in business. Civil society is also regulated very heavily with service fees and infringement penalties are important sources of revenue for government. This substantially increases the licenses, costs and knowledge required to start a business just like high start up costs that discourage entrepreneurial start-ups in under-developed economies. Opening a simple business like a café or restaurant now most likely requires a loan from a bank to enable the individual to comply with health, building, and food storage and preparation regulations. This puts the opportunity of starting many types of businesses out of the reach of many people without the ability to save or raise finance. However, even given all the above it is likely that the environment for potential opportunities will increase in the post industrial environment due to large urban diversity, high incomes, and sophisticated market segmentation that has evolved over decades. For example, high market segmentation presents new opportunities that established channels of distribution do not cater for and new distribution channels can be created to exploit these opportunities. New alternative channels appealing to particular segment groups like buy local, organic, Halal, Kosher, Fairtrade create many new product and retail opportunities. Internet retailing is on a massive growth path and the discount shop46 phenomenon throughout Europe, Japan, the United States and Australia is now a very significant worldwide industry. In a post industrial economy it will take more investigation to see potential opportunities as small niches are harder to see than the general environment. 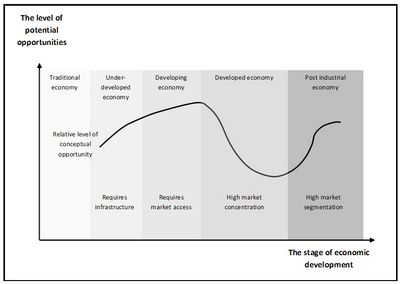 Figure 5 shows conceptually the level of potential opportunities in relation to the stage of economic development. However, countries do not necessarily develop directly along the path outlined above. Resources are unevenly distributed within a country and in addition, geography, population and infrastructure will be distributed in such a way that development may occur unevenly. This consequently means that opportunities available may follow patterns related to all stages of economic development, and that economies are more complex than the singular typologies outlined above. The first development within a country will most likely be related to existing natural resources and the new industry would locate itself within proximity to the resource location. How quickly and large this industry may develop will depend upon the agents involved in the industry, access to markets, production or extraction costs, transport costs, and the ability of the industry to grow and sustain itself. How quickly and substantially complementary and support industries accumulate in the region depend upon the substance of the industry and potential growth. The suitability of local topography to support transport infrastructure, i.e., potential to house a natural port, build roads and railways to the region, support a large population, and availability of labor either currently present or willing to relocate to the new area will support further regional growth. Some areas within a country are better endowed than others promoting uneven growth within almost every economy. This can be seen in the rapid growth along the coast of China and stagnation within some parts of the interior of the country. 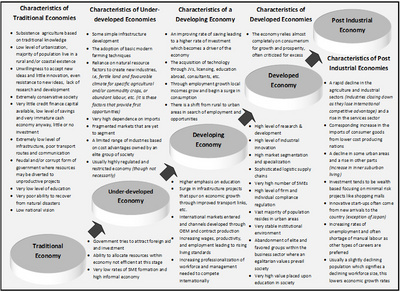 Figure 6 shows where both Thailand and Malaysia’s current development levels would be placed over the five stages of development. Both Thailand and Malaysia are predominantly developing countries relying on investment to drive their respective manufacturing sectors. However at the same time there are many aspects of both countries industries and markets that have the characteristics of a developed economy. Both Malaysia and Thailand’s services sectors are rapidly growing. Malaysia could also be said to display some characteristics of a post industrial society where some of the large government linked companies (GLCs) make substantially wealth based investments in real estate and construction projects rather than investments in innovation. Outside the major cities both Thailand and Malaysia are characteristic of under developed economies still using traditional techniques in local farming and fishery enterprises, still lacking basic infrastructure in some places. Paradoxically Thailand still has hill tribes around Chiang Rai that still maintain traditional lifestyles and Malaysia still has the Iban, Dayak, and Dusun tribes in Borneo. 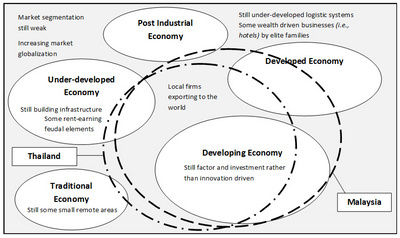 Figure 6 Where Thailand and Malaysia’s development would be placed over the five stages of development.
. Meier, G. M. (1984), Leading Issues in Economic Development, Fourth Edition. New York: Oxford University Press, 91. 2. Rostow, W. W. (1960), The Stages of Economic Growth: A Non-communist Manifesto. Cambridge: Cambridge University Press. 3. Porter, M. E. (1990), The Competitive Advantage of Nations. New York: Free Press, Ch. 10. 4. Hunter, M. (2009), Essential Oils, Art, Science, Agriculture, Industry, & Entrepreneurship: A focus on the Asia-Pacific Region. New York: Nova Scientific Publishers, 330. 5. Adapted from: Hunter, M. (1993), “The Challenge of South East Asia for the Australian Cosmetic Manufacturer,” Cosmetics, Aerosols & Toiletries in Australia 8(1). 6. For example the residents of the Laotian town of Luang Prabang maintained a traditional lifestyle until very recently when tourism numbers rose to the extent of radically disturbing the culture of the place. 7. Meier, G. M. (1984), Leading Issues in Economic Development, 101. 8. Bienhocker, E. D. (2007), The Origin of Wealth: Evolution, Complexity, and the Radical Remaking of Economies. London: Random House, 80. 9. Galbraith, J. K. (1980), The Nature of Mass Poverty. Cambridge, MA: Harvard University Press. 10. Thirlwall, A. P. (1983), Growth & Development: With Special Reference to Developing Economies,3rd Edn.London: MacMillan, 96. 11. These may initially be direct support industries that are complementary to the resource industry but overtime may become diversified into industries that supply goods to the employees of these industries and eventually become adjunct or allied industries that may use the resource based products as raw materials, etc. 12. In this context this may simply mean a new retailer offering a wider range of clothes, new car models, or restaurants with novel cuisines to the region. 13. Meier, G. M. (1984), Leading Issues in Economic Development, 183. 14. For example the lemongrass oil industry could only develop within Haiti during the Second World War because stocks could not be shipped to the United States from countries like India at the time. 15. Harford, T. (2006), The Undercover Economist. London: Abacus. 17. Compiled from CIA World Factbook https://www.cia.gov/library/publications/the-world-factbook/ (accessed 11th January 2011). 18. GDP in US dollars at purchasing power parity. 19. At purchasing power parity. 20. Country comparison to the rest of the world. 21. The ‘2008 CPI Score’ related to the degree of corruption perception as seen by businesspeople and country analysts. 22. The ‘Confidence Range’ provides a range of possible values to the CPI Score as it varies according to survey taken. 23. People age 15 and over who can read and write. 24. A progress government is reforming the economy, tackling issues like poverty and attracting foreign investment. 25. A largely desert economy with intensive agriculture in irrigated areas where production has declined in recent years. The major income is now oil and gas but the country is slow to privatize, has inadequate export routes, widespread poverty (30%), endemic corruption, poor educational system, government misuse of oil and gas revenues, and reluctance to introduce economic reforms. 26. The discovery of large oil reserves have contributed to dramatic economic growth. However there is a 30% unemployment rate and most businesses are owned by government officials and their families. 27. See: Profile: Thailand’s reds and yellows, BBC News, 20th April 2010, http://news.bbc.co.uk/2/hi/asia-pacific/8004306.stm, accessed 20th April, 2010). 28. Bloom, D. A., and Canning, D. (2004), “Global Demographic Change: Dimensions and Economic Significance,” paper presented to the Federal Reserve Bank of Kansas City Symposium on Global Demographic Change: Impacts and Policy Challenges,Jackson Hole, Wyoming, August 26‒28. 29. Bloom, D. A., and Canning, D. (2001), “Cumulative Causality, Economic Growth, and the Demographic Transition,” in Birdsall, N., Kelley, A., and Sinding, S. (eds. ), Population Matters: Demography, Growth, and Poverty in the Developing World. Oxford: Oxford University Press, 165‒197. 30. Harvey, D. (2010), The Enigma of Capital: and Crises of Capitalism. London: Profile Books, 147‒150. 31. For examples many cities in the old East Germany are declining in favor of cities on the western side of Germany, The Pearl River Delta has seen unprecedented industrial and urban growth over the last thirty years while at the same time many industrial cities in the United States are declining. What were very recently empty desert space in the Gulf States are now the sites of modern new mega cities, Bangalore in India has become an international IT industry centre, Shanty towns still exist in South Africa while there is still conflict in areas of Central Africa. 32. However even in some cases this does not change even after a revolution, i.e., the fall of the Soviet Union just replaced state capitalism with ‘oligarch capitalism’, the peoples revolution against Marcos did not dispose of ‘crony capitalism’, and the revolutions in Latin America during the 1960s and 1970s did not change the situation much. 33. This is very important to small enterprises where they have access to potential landlords, contractors, suppliers, credit providers, and customers. 35. Williamson, O. E. (1991), “Comparative Economic Organization: The Analysis of Discrete Structural Alternatives,” Administrative Science Quarterly 36: 269‒296. 36. This doesn’t mean that firms have ceased trying to distort pricing through methods like collusion and bullying. There have been over the years many high profile corporate cases about this issue with many companies being found guilty and being forced to pay large fines. 37. These factors have increased global branding by manufacturers. Multinational manufacturers in efforts to seek better economies of scale will also make regional or worldwide supply agreements with their suppliers, thus also eliminating the ability of small domestic suppliers to deal with multinational companies. 38. They can be considered to have a high income elasticity of demand because they open up choice to consumers and compete for their limited incomes. 39. Shown as service sector percentage of GDP and GDP per-capita (PPP) US$ extracted from the World Bank Development Report and other data. 40. Agriculture, industry, and service sector percentage of GDP and GDP per-capita (PPP) US$ extracted from the World Bank Development Report and other data. 41. People around the world appear to be looking for new political hopes in different ways. In 2008 the people in the US elected Barack Obama with such great hopes, yet the Republican tea party movement is gaining some momentum in public opinion. The recent UK and Australian elections returned major parties without any preference for either one, requiring minor parties and independents to make or break the government. Although the greens vote rose slightly, there is really no political party or movement that appears to be inspiring voters. The Edelman Trust Barometer 2011 shows that the majority (over 50%) of people distrust their governments in France, Italy, India, United Kingdom, United States, Russia, and Germany. See http://www.edelman.com/trust/2011/ (Accessed 27th January 2011). 42. Drucker, P. F. (1993), Post-Capitalist Society. New York: Harper Business. 44. Golding, B. (2001), “Great Divides in Learning: Youth Learning Pathways in Rural and Remote Australian Towns,” Proceedings of the ACER Research Conference 2001, Understanding Youth Pathways, Hilton on the Park, Melbourne, 15‒16th October, 13‒18, http://acer.edu.au/documents/RC2001_Proceedings.pdf (accessed 29th November 2011). 45. Hunter, M. (2009), Essential Oils, 22. 46. Also known as dollar, $2, or One Euro or Pound Shops. Perhaps it is worth mentioning here that the subtitle of Rostow’s Stages of Economic Growth (1960) was “A Non-Communist Manifesto.” Just as Marx had turned Hegel up-side-down with his dialectic materialism, Rostow wished to turn Marx up-side-down with his linear deterministic stages of growth and thus modeled his theory after western capitalist countries. He was none other than an advisor in President John F. Kennedy’s administration and as an economist he felt he had to make his contribution in the fight against Communism, albeit as a “scientific” economist he also wished to give the impression that his theory was completely objective. Kind of having the cake and eating it too. Here too we see the duality of the two cultures: the scientific positivistic vs. the humanistic liberal arts. It follows from the above facts that perhaps there was a hidden bias in Rostow’s theory toward western models as the only path to economic development, as indeed the above article correctly implies. But not only that, the theory has also been severely criticized as a top down or trickle down modernization process, when what may be needed may be a bottom up paradigm emphasizing local economic efforts and making urban industry unnecessary. In more philosophical terms this is the old bias of the Enlightenment toward “inevitable progress” emphasizing growth at any cost and debunking the classical harmony and avoidance of extremes. It is the enlightened that needs still to enlighten itself. Indeed, not all countries have as their goal “mass consumption” as their supreme priority and opportunity. In fact, if that is what globalization is all about, it will result in an unmitigated global disaster, to wit Singapore, one of the most economically prosperous countries, but also one with the highest income disparities in the world. It has one of the world's busiest trading ports, but people easily forget that this would not be possible without its advantageous geography as an island nation between Indonesia and Malaysia. Not all countries have the same geographical advantages, not to speak of historical advantages, something Marx was very aware of. The modern capitalist often enough proclaim with Henry Ford that history is "bunk" thus condemning himself to a repetition of all of history's mistakes.